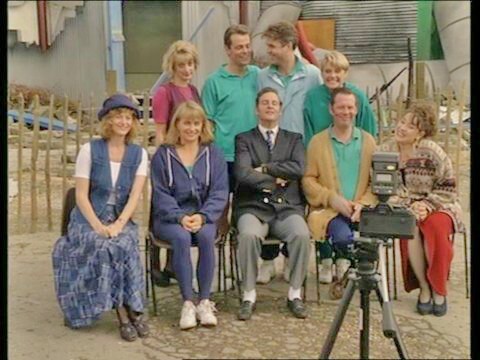 The Brittas reunion event will take place on October the 2nd at Ringwood Leisure center where the series used to be filmed. So far all the stars of the show have confirmed to be there. The reunion has come together because I was contacted earlier this year by Toby White a business and fitness manager working at the center. He wondered if, because I run a fansite and social media pages for Chris Barrie, I could get him in touch with some of the cast members. This because the original building has been refurbished and he would love to have a few of the stars at the re-opening. I decided to try one better and wondered if it could not be a reunion instead and tried to get in touch with all the actors of the show. All of them responded positively and seemed very keen to see their old colleagues again and loved the idea of a big reunion, especially as the last time they were together is 20 years ago this year. The event will start at 4pm and will last till 8PM, there will be the grand opening, press/interview moments and a champagne cocktail party.